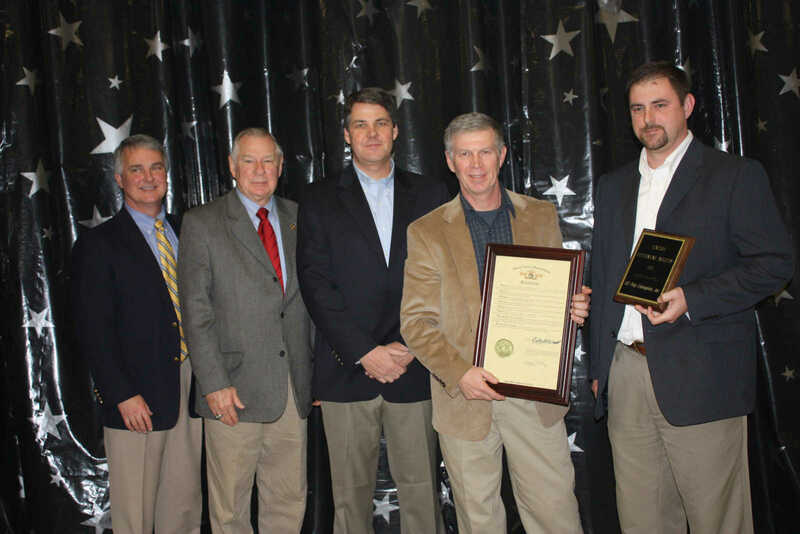 Dexter's Chamber of Commerce annual awards were handed out at a banquet held Saturday night, Jan. 21, 2012. Awards were presented to the Organization of the Year, Small Business of the Year, Business of the Year, Industry of the year and Educator of the Year. 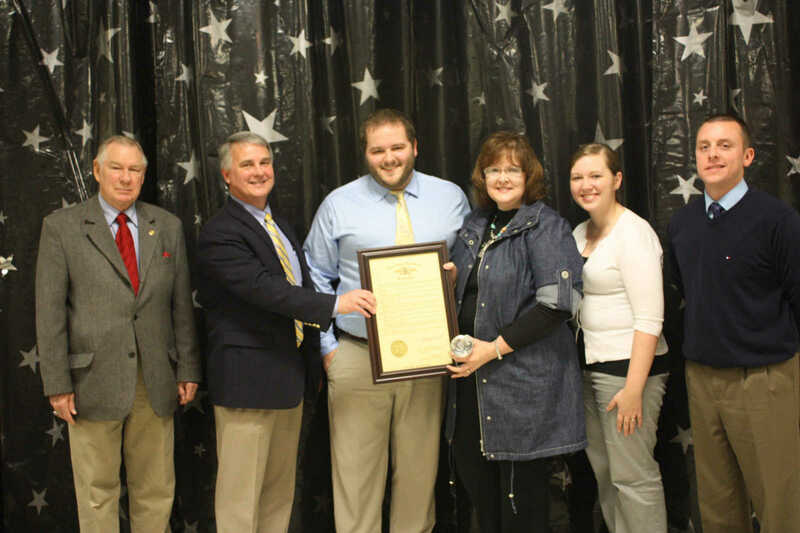 Earning 2011 Industry of the Year was U.S. Poly Enterprises, Inc. of Dexter. 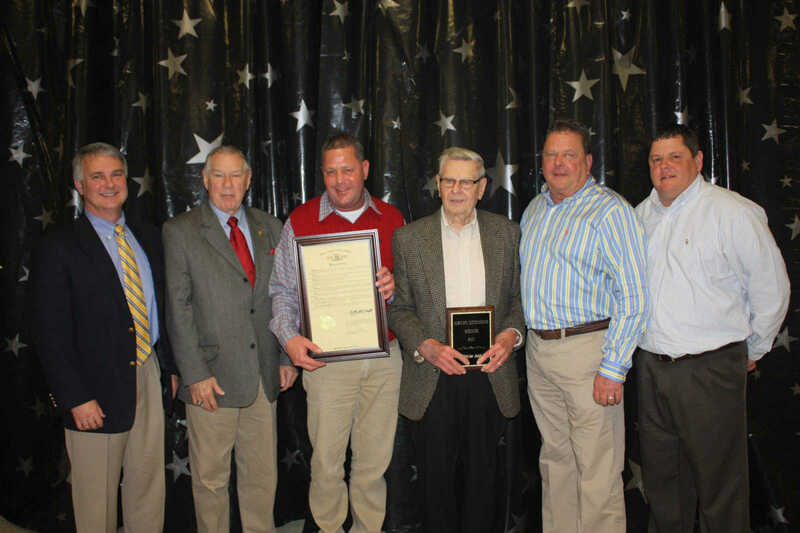 Accepting the award was Brent Cooper, second from left, and Jason Mattison, at far right. 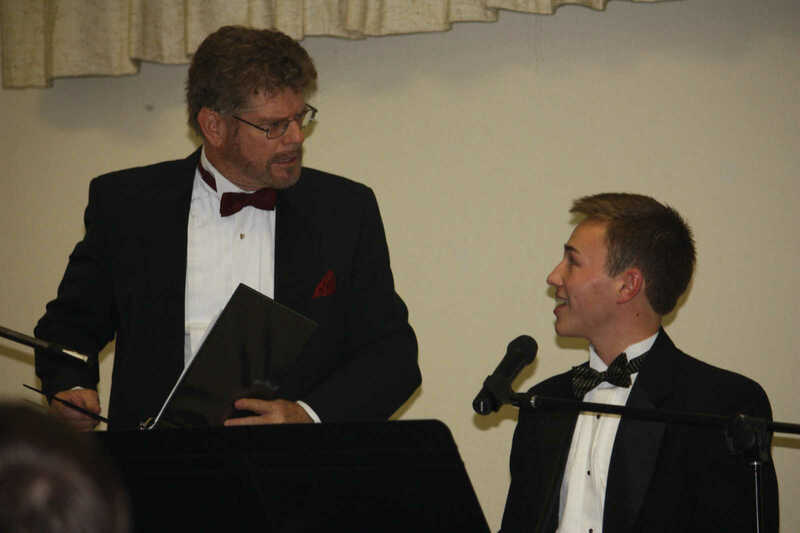 Joseph Greer, a student at Dexter High School, teamed up with his longtime piano instructor, Pete Parysek, also of Dexter, to provide entertainment for Chamber members and guests at the local Chamber of Commerce banquet. 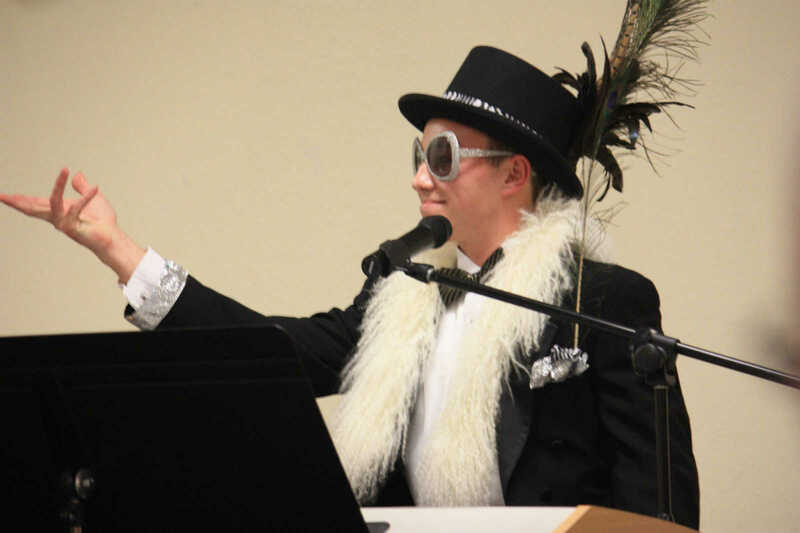 Above, Greer entertains the crowd as "Sir Elton." 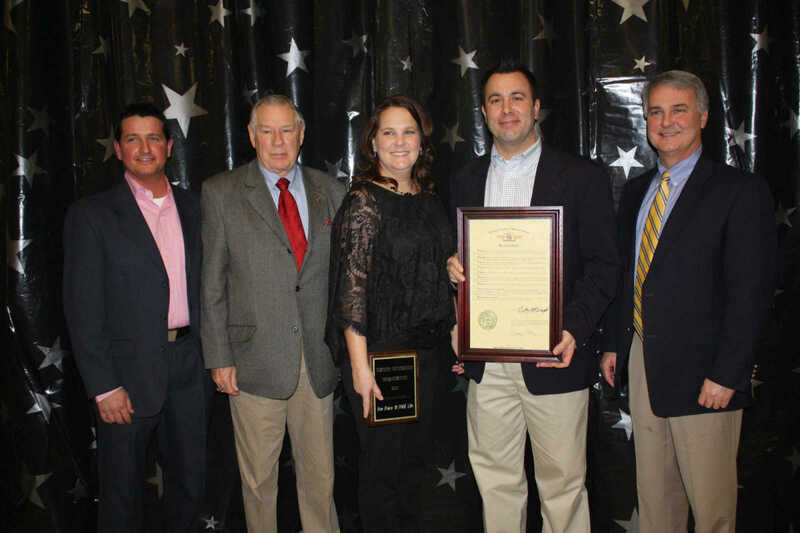 Awarded Small Business of the Year was LeGrand's Communications. Accepting the award are company owners, Ronnie and Sheila Legrand. 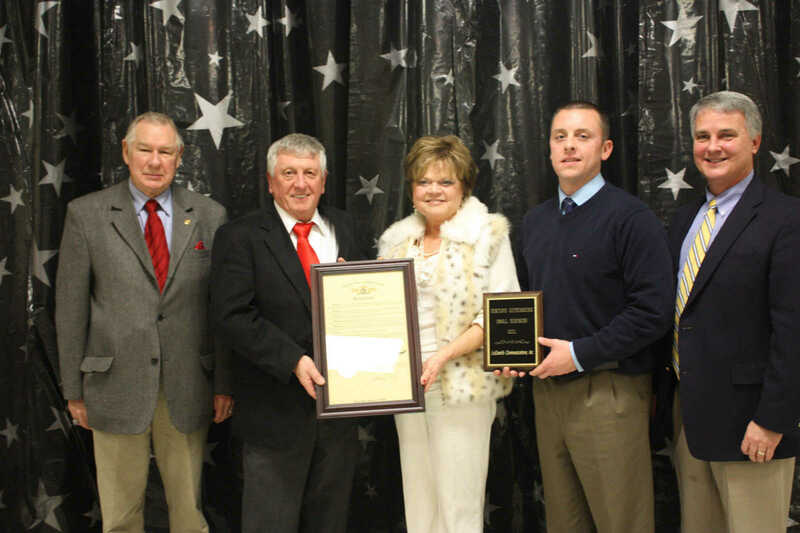 Allen Christian Buick GMC took home the annual Business of the Year Award at Saturday night's banquet. From left are Sen. Rob Mayer, Rep. Billy Pat Wright, Terry Christian, Allen Christian, Denny Christian and Bruce Christian. Pete Parysek and his student, Joseph Greer, take part in a humorous skit between classic piano "duals" before a capacity crowd. 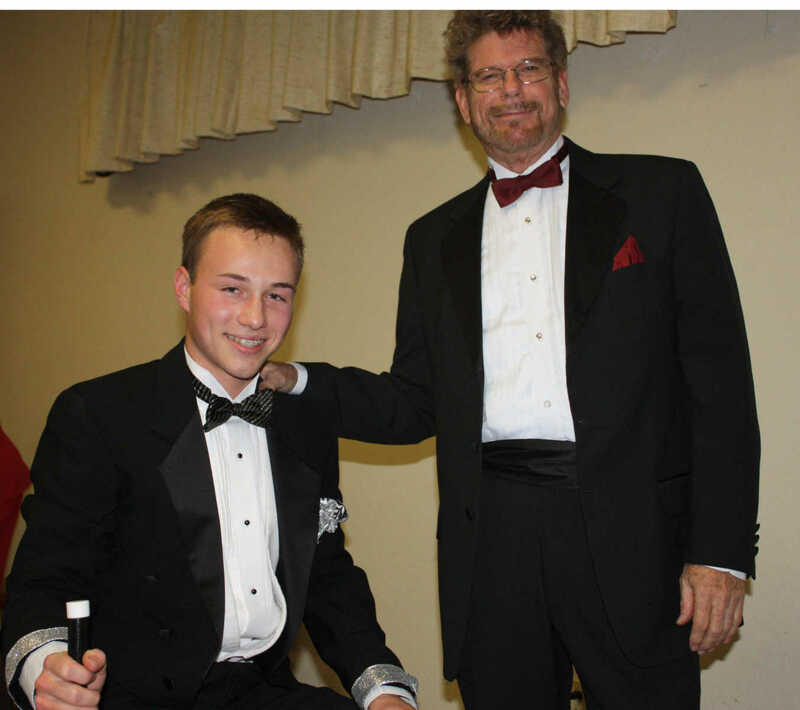 Student, Joseph Greer, and his instructor and accomplished jazz pianist, Pete Parysek. Kerri and Scott Kruse were recipients of the Organization of the Year award at Saturday night's Chamber banquet. The two head up the Ben Kruse 18 Fore Life Foundation, a local charity established in 1999 that grants area cancer patients love offerings to help defray the expenses that accompany a cancer diagnosis. Named the Chamber's 2011 Educator of the Year was Jeannie Cato, third from right, who currently teaches seventh grade reading at T.S. Hill Middle School. She is pictured with her son, Andrew, third from left) and her daughter, Bailey. At far left are Rep. Billy Pat Wright and Sen. Rob Mayer. At far right is Chamber Secretary/Treasurer Kevin Bishop.